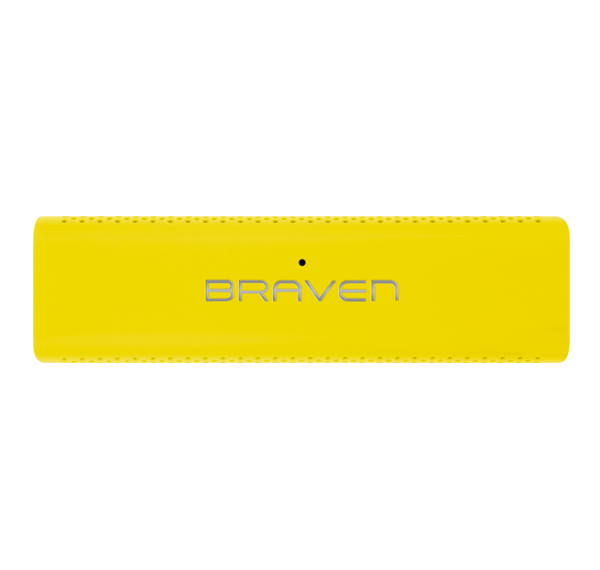 The Braven 705 sticks to a very conventional, almost brick like speaker design. It has worked well for Braven’s range in the past, and this one is no exception. A smooth finish all around lets you know that the device is made of good quality. 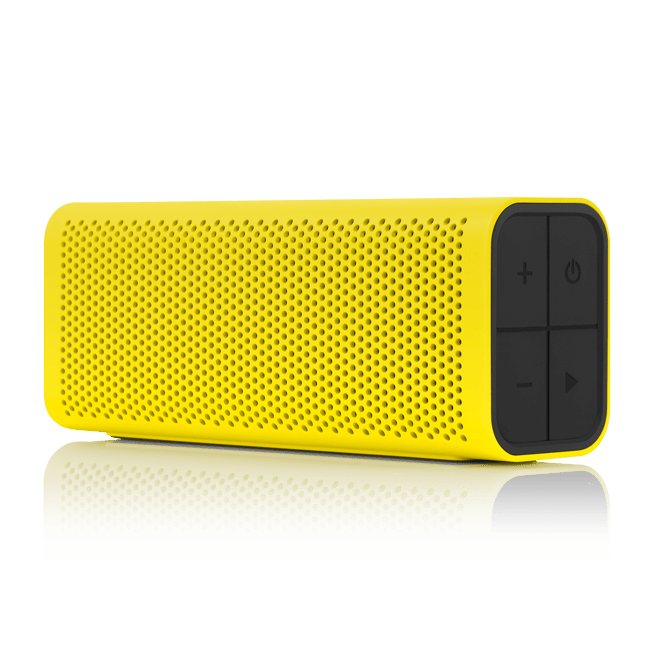 The side features the Playback buttons, while the top features the Braven logo and the microphone. The other side features a flap that can be taken off, which is designed to give the ports and controls underneath water protection. 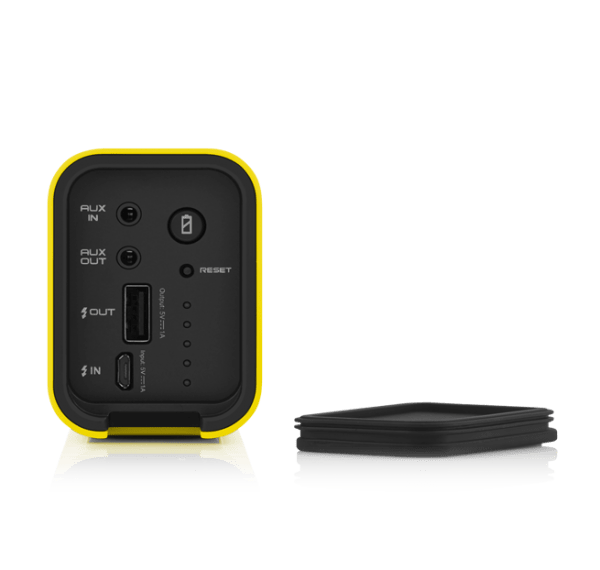 In there you will find ports of AUX IN and OUT, USB out to recharge your devices, power in, as well as a button that will let you know how much battery is left. 5 LEDs will light up to let you know about the battery remaining. A RESET button lets you reset the device, though I didn’t have to use it. Doesn’t get any easier really. Turn it on and you can pair it straight away. If you don’t want Bluetooth, just use AUX IN. Want to connect more? Use AUX OUT. Want to charge a device? Use the POWER OUT. Want to charge this? Use the IN. As simple as you want. I always find such speakers to be a tricky to take phone calls. Not because they’re not good, but because you go in speaker mode, and sit ‘away’ from the speaker. That means that you’re often far away from the microphone, and the caller can’t hear you properly. So yeah, if you want to use this to make and receive calls, just sit close to the microphone, no matter how loud the speaker function is. At the end of the day, it is all about the sound. The 705 is a tiny little speaker, and it shows with the sound. Quite handy for carrying about, but that comes at a cost. The quality is good though, don’t get me wrong, but do not expect to be blown away by this. It gives you a pretty decent performance, but the massive power that some tiny speakers boast just isn’t there. However, if you know that when you’re buying this, you won’t be surprised. It comes in a variety of colours, and is available from various online retailers. A handy little beast that is full of features, and pretty decent sound.